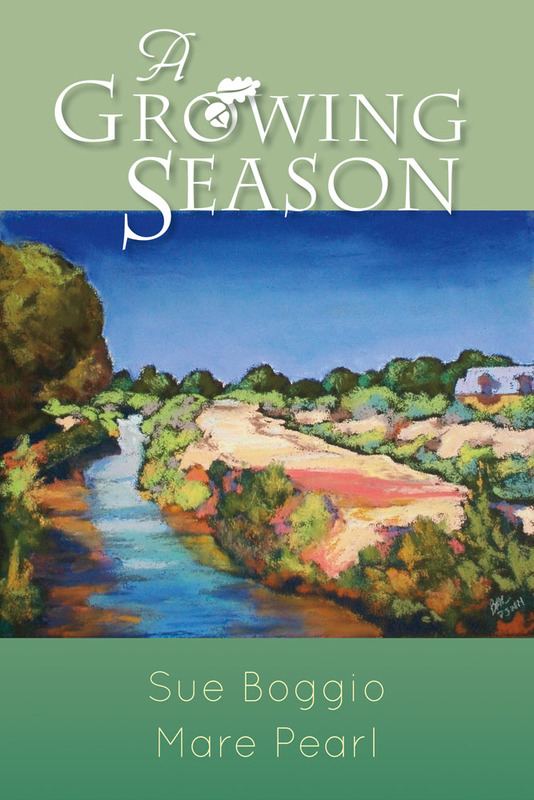 Hailed by Booklist as “two talented authors who vividly bring to life the beauty of New Mexico and its people,” Sue Boggio and Mare Pearl return in A Growing Season to Esperanza, New Mexico, the setting of their first book, Sunlight and Shadow. Esperanza is a community at the crossroads where a devastating drought threatens the farming community’s very survival. Vultures circle in the form of developers who see failing farms as ripe pickings for a bedroom community for Albuquerque. Court battles pit the endangered silvery minnow against the farmers as the once mighty Rio Grande shrinks from its banks even as demand for its precious water increases. Sue Boggio and Mare Pearl grew up together in Iowa and have both worked in health care in New Mexico. Sue Boggio lives in Albuquerque. Mare Pearl lives in Bosque Farms, New Mexico.